Celebrating the longest night of the year, a time to acknowledge sadness, concerns and challenges while focusing on the light that always follows the darkness. The winter solstice, on Dec. 21, is noteworthy as the time when the night is longer than the day. That event is celebrated in a variety of Christian traditions, as well as Iranian and Chinese cultures. 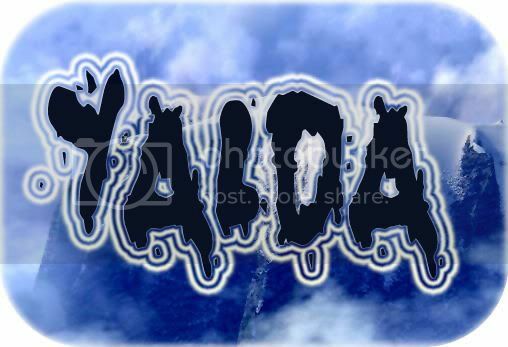 Yaldā is celebrated on the eve of the first day of the winter in the Iranian calendar, which falls on the Winter Solstice. It celebrates the birth of Sun god Mithra. The festival was considered extremely important in pre-Islamic Iran (Persia) and continues to be celebrated to this day. Some historians believe that the festival spread to Europe through contacts between the Roman and Persian empires and was eventually replaced by Christmas; a theory that accounts for the celebration of Christmas on 25 December, rather than the later date of January 6 that is believed to be the correct date of birth of Christ. Yalda, a Syric word imported into the Persian language by the Syric Christians means birth (tavalud and melaad are from the same origin). It is a relatively recent arrival and it is refereed to the "Shab e Cheleh Festival" a celebration of Winter Solstice on December 21. Forty days before the next major Persian festival "Jashn-e Sadeh" this night has been celebrated in countless cultures for thousands of years. The ancient Roman festivals of Saturnalia (God of Agriculture, Saturn) and Sol Invicta (Sun God) are amongst the best known in the Western world. In most ancient cultures, including Persia, the start of the solar year has been marked to celebrate the victory of light over darkness and the renewal of the Sun. For instance, Egyptians, four thousand years ago celebrated the rebirth of the sun at this time of the year. They set the length of the festival at 12 days, to reflect the 12 divisions in their sun calendar. They decorated with greenery, using palms with 12 shoots as a symbol of the completed year, since a palm was thought to put forth a shoot each month. The Persians adopted their annual renewal festival from the Babylonians and incorporated it into the rituals of their own Zoroastrian religion. The last day of the Persian month Azar is the longest night of the year, when the forces of Ahriman are assumed to be at the peak of their strength. While the next day, the first day of the month "Day" known as "khoram rooz" or "khore rooz" (the day of sun) belongs to Ahura Mazda, the Lord of Wisdom. Since the days are getting longer and the nights shorter, this day marks the victory of Sun over the darkness. The occasion was celebrated in the festival of "Daygan" dedicated to Ahura Mazda, on the first day of the month "Day"
Fires would be burnt all night to ensure the defeat of the forces of Ahriman. There would be feasts, acts of charity and a number of deities were honored and prayers performed to ensure the total victory of sun that was essential for the protection of winter crops. There would be prayers to Mithra (Mehr) and feasts in his honor, since Mithra is the Yazat responsible for protecting "the light of the early morning" known as "Havangah" It was also assumed that Ahura Mazda would grant people's wishes, specially those with no offspring had the hope to be blessed with children if performed all rites on this occasion. One of the themes of the festival was the temporary subversion of order. Masters and servants reversed roles. The king dressed in white would change place with ordinary people. A mock king was crowned and masquerades spilled into the streets. As the old year died, rules of ordinary living were relaxed. This tradition persisted till Sassanian period, and is mentioned by Biruni and others in their recordings of pre-Islamic rituals and festivals. Its' origin goes back to the Babylonian New Year celebration. These people believed the first creation was order that came out of chaos. To appreciate and celebrate the first creation they had a festival and all roles were reversed. Disorder and chaos ruled for a day and eventually order was restored and succeeded at the end of the festival. The Persian traditions merged in ancient Rome, in a festival to the ancient god of seedtime, Saturn. The Romans exchanged gifts, partied and decorated their homes with greenery. Following the Persian tradition, the usual order of the year was suspended. Grudges and quarrels forgotten, wars would be interrupted or postponed. Businesses, courts and schools were closed. Rich and poor became equal, masters served slaves, and children headed the family. Cross-dressing and masquerades, merriment of all kinds prevailed. A mock king, the Lord of Misrule, was crowned. Candles and lamps chased away the spirits of darkness. Another related Roman festival celebrated at the same time was dedicated to Sol Invictus ("the invincible sun"), originally known as Mithra Originally a Persian deity, this cult was imported by Emperor Heliogabalus into Rome and Sol was made god of the state. With the spread of Christianity, Christmas celebration became the most important Christian festival. In the third century various dates, from December to April, were celebrated by Christians as Christmas. January 6 was the most favored day because it was thought to be Jesus' Baptismal day (in the Greek Orthodox Church this continues to be the day to celebrate Christmas). In year 350, December 25 was adopted in Rome and gradually almost the entire Christian Church agreed to that date, which coincided, with Winter Solstice and the festivals, Sol Invicta and Saturnalia. Many of the rituals and traditions of the pagan festivals were incorporated into the Christmas celebration and are still observed today. With the conquest of Islam the religious significance of the ancient Persian festivals was lost. Today "Shab e Cheleh" is merely a social occasion, when family and friends get together for fun and merriment. Different kinds of dried fruits, nuts, seeds and fresh winter fruits are consumed. The presence of dried and fresh fruits is reminiscence of the ancient feasts to celebrate and pray to the deities to ensure the protection of the winter crops. The Iranian Jews, who are amongst the oldest inhabitants of the country, in addition to "Shab e Cheleh" also celebrate the festival of "Illanout" (tree festival) at around the same time. Their celebration of Illanout is very similar to Shab e Cheleh celebration. Candles are lit; all varieties of dried and fresh winter fruits will have to be present. Special meals are prepared and prayers are performed. There are also very similar festivals in many parts of Southern Russia that are identical to "Shab e Cheleh" festival with local variations. Sweet breads are baked in shape of humans and animals. Bon fires are made; dances are performed that resemble crop harvesting. Comparison and detailed studies of all these celebrations no doubt will shed more light on the forgotten aspects of this wonderful and ancient festival, where merriment was the main theme of the festival. Yalda, a Syriac word imported into the Persian language by the Syriac Christians means birth (tavalud and melaad are from the same origin). It is a relatively recent arrival and it is refereed to the "Shab-e Cheleh Festival", a celebration of Winter Solstice on December 21st. Forty days before the next major Persian festival "Jashn-e Sadeh"; this night has been celebrated in countless cultures for thousands of years. The ancient Roman festivals of Saturnalia (God of Agriculture, Saturn) and Sol Invicta (Sun God) are amongst the best known in the Western world. The Persians adopted their annual renewal festival from the Babylonians and incorporated it into the rituals of their own Zoroastrian religion. The last day of the Persian month Azar is the longest night of the year, when the forces of Ahriman are assumed to be at the peak of their strength. While the next day, the first day of the month "Day" known as "khoram rooz" or "khore rooz" (the day of sun) belongs to Ahura Mazda, the Lord of Wisdom. Since the days are getting longer and the nights shorter, this day marks the victory of Sun over the darkness. The occasion was celebrated in the festival of "Daygan" dedicated to Ahura Mazda, on the first day of the month "Day". Fires would be burnt all night to ensure the defeat of the forces of Ahriman. There would be feasts, acts of charity and a number of deities were honored and prayers performed to ensure the total victory of sun that was essential for the protection of winter crops. There would be prayers to Mithra (Mehr) and feasts in his honor, since Mithra is the Eyzad responsible for protecting "the light of the early morning", known as "Havangah". It was also assumed that Ahura Mazda would grant people's wishes, specially those with no offspring had the hope to be blessed with children if performed all rites on this occasion. One of the themes of the festival was the temporary subversion of order. Masters and servants reversed roles. The king dressed in white would change place with ordinary people. A mock king was crowned and masquerades spilled into the streets. As the old year died, rules of ordinary living were relaxed. This tradition persisted till Sassanid period, and is mentioned by Biruni and others in their recordings of pre-Islamic rituals and festivals. Its' origin goes back to the Babylonian New Year celebration. These people believed the first creation was order that came out of chaos. To appreciate and celebrate the first creation they had a festival and all roles were reversed. Disorder and chaos ruled for a day and eventually order was restored and succeeded at the end of the festival. The Egyptian and Persian traditions merged in ancient Rome, in a festival to the ancient god of seedtime, Saturn. The Romans exchanged gifts, partied and decorated their homes with greenery. Following the Persian tradition, the usual order of the year was suspended. Grudges and quarrels forgotten, wars would be interrupted or postponed. Businesses, courts and schools were closed. Rich and poor became equal, masters served slaves, and children headed the family. Cross-dressing and masquerades, merriment of all kinds prevailed. A mock king, the Lord of Misrule, was crowned. Candles and lamps chased away the spirits of darkness. Another related Roman festival celebrated at the same time was dedicated to Sol Invictus ("the invincible sun"). Originally a Syrian deity, this cult was imported by Emperor Heliogabalus into Rome and Sol was made god of the state. With the spread of Christianity, Christmas celebration became the most important Christian festival. In the third century various dates, from December to April, were celebrated by Christians as Christmas. January 6 was the most favored day because it was thought to be Jesus' Baptismal day (in the Greek Orthodox Church this continues to be the day to celebrate Christmas). In year 350, December 25 was adopted in Rome and gradually almost the entire Christian Church agreed to that date, which coincided, with Winter Solstice and the festivals, Sol Invicta and Saturnalia. Many of the rituals and traditions of the pagan festivals were incorporated into the Christmas celebration and are still observed today. It is not clear when and how the world "Yalda"; entered the Persian language. The massive persecution of the early Christians in Rome brought many Christian refugees into the Sassanid Empire and it is very likely that these Christians introduced and popularized "Yalda" in Iran. Gradually "Shab-e Yalda" and "Shab-e Cheleh" became synonymous and the two are used interchangeably. With the conquest of Islam the religious significance of the ancient Persian festivals was lost. Today "Shab-e Cheleh" is merely a social occasion, when family and friends get together for fun and merriment. Different kinds of dried fruits, nuts, seeds and fresh winter fruits are consumed. The presence of dried and fresh fruits is reminiscence of the ancient feasts to celebrate and pray to the deities to ensure the protection of the winter crops. The Iranian Jews, who are amongst the oldest inhabitants of the country, in addition to "Shab-e Cheleh", also celebrate the festival of "Illanout" (tree festival) at around the same time. Their celebration of Illanout is very similar to Shab-e Cheleh celebration. Candles are lit; all varieties of dried and fresh winter fruits will have to be present. Special meals are prepared and prayers are performed. There are also very similar festivals in many parts of Southern Russia that are identical to "Shab-e Cheleh" festival with local variations. Sweet breads are baked in shape of humans and animals. Bon fires are made; dances are performed that resemble crop harvesting. Comparison and detailed studies of all these celebrations no doubt will shed more light on the forgotten aspects of this wonderful and ancient festival, where merriment was the main theme of the festival. The ancient Zoroastrian feast of "Yalda" marks the longest night of the year and the start of winter for many across the globe. For the Zorastrians in Iran however, it marks other special rites too. The traditional celebration of Yalda (or Shab e Cheleh as it sometimes known) dates back several thousand years, when Zoroastrianism was the official religion of Persia. For ancient Zoroastrians, day and night symbolise good and evil, and Yalda was a night when the battle between the two forces reached a peak. The end of the night and the dawn thus represents the final victory of good, embodied in the Zoroastrian God Ahoura Mazda, over the devil Ahriman. Characteristically, Yalda is a long cold night when families get together to feast on traditional pastries, snacks and fruit. The tradition, like several other Zoroastrian customs, has survived all political upheavals in former Persia - including, crucially, the arrival of Islam in the seventh century. In the days before the festival, shops stock up on varieties of nuts and dried fruit, and melons are retrieved from industrial refrigerators, (where they are preserved for the feast). An old belief states that a taste of melon on the longest night of the year can protect against a variety of illnesses. Fruits are a reminiscence of ancient feasts to implore the deities to ensure the protection of the winter crops. This festival is clearly not as widespread since the arrival of Islam, as now only around 50,000 of Iran's 60 million population are Zoroastrians. Yalda, a Syric word imported into the Persian language by Syric Christians means birth (tavalod and meelaad are from the same origin). It is a relatively recent arrival and refereed to the "Shab e Cheleh" festival, a celebration of Winter solstice on December 21st. Yalda, forty days before the next major Persian festival "Jashn e Sadeh", has been celebrated in countless cultures for thousands of years. The ancient Roman festivals of Saturnalia (God of Agriculture, Saturn) and Sol Invicta (Sun God) are amongst the best known in the Western world. In most ancient cultures, including Persia, the start of the solar year has been marked to celebrate the victory of light over darkness and the renewal of the Sun. For instance, four thousand years ago the Egyptians celebrated the rebirth of the sun at this time of the year. They set the length of the festival at 12 days, to reflect the 12 divisions in their sun calendar. They decorated with greenery, using palms with 12 shoots as a symbol of the completed year, since a palm was thought to put forth a shoot each month. The Persians adopted their annual renewal festival from the Babylonians and incorporated it into the rituals of their own Zoroastrian religion. The last day of the Persian month of "Azar" is the longest night of the year, when the forces of Ahriman are assumed to be at their peak. While the next day, the first day of the month of "Day" known as "Khoram rooz" or "Khore rooz" (the day of the sun) belongs to Ahura Mazda, the Lord of Wisdom. Since the days are getting longer and the nights shorter, this day marks the victory of the sun over darkness. The occasion was celebrated in the festival of "Daygan" dedicated to Ahura Mazda, on the first day of the month of "Day". Fires would be burnt all night to ensure the defeat of the forces of Ahriman. There would be feasts, acts of charity and a number of deities honored and prayers performed to ensure the total victory of the sun that was essential for the protection of winter crops. There would be prayers to Mithra (Mehr) and feasts in his honor, since Mithra is the Eyzad responsible for protecting "the light of the early morning", known as "Havangah". It was also assumed that Ahura Mazda would grant people's wishes. One of the themes of the festival was the temporary subversion of order. Masters and servants reversed roles. The king dressed in white would change place with ordinary people. A mock king was crowned and masquerades spilled into the streets. As the old year died, rules of ordinary living were relaxed. This tradition persisted until the Sassanid period, and is mentioned by Biruni and others in their recordings of pre-Islamic rituals and festivals. Its origin goes back to the Babylonian new year celebration. These people believed the first creation was order that came out of chaos. To appreciate and celebrate the first creation they had a festival and all roles were reversed. Disorder and chaos ruled for a day and eventually order was restored and succeeded at the end of the festival. The Egyptian and Persian traditions merged in ancient Rome, in a festival dedicated to the ancient god of seedtime, Saturn. The Romans exchanged gifts, partied and decorated their homes with greenery. Following the Persian tradition, the usual order of the year was suspended. Grudges and quarrels would be forgotten and wars interrupted or postponed. Businesses, courts and schools were closed. Rich and poor became equal, masters served slaves, and children headed the family. Cross-dressing and masquerades, merriment of all kinds prevailed. A mock king, the Lord of Misrule, was crowned. Candles and lamps chased away the spirits of darkness. Another related Roman festival celebrated at the same time was dedicated to Sol Invictus ("the invincible sun"). Originally a Syrian deity, this cult was imported by Emperor Heliogabalus into Rome and Sol was made god of the state. With the spread of Christianity, Christmas celebration became the most important Christian festival. In the third century various dates, from December to April, were celebrated by Christians as Christmas. January 6 was the most favored day because it was thought to be Jesus's Baptismal day (in the Greek Orthodox Church this continues to be the day to celebrate Christmas). In year 350, December 25 was adopted in Rome and gradually almost the entire Christian church agreed to that date, which coincided, with the Winter solstice and the festivals, Sol Invicta and Saturnalia. Many of the rituals and traditions of the pagan festivals were incorporated into the Christmas celebration and are still observed today. It is not clear when and how the world "Yalda" entered the Persian language. The massive persecution of early Christians in Rome brought many Christian refugees into the Sassanid Empire and it is very likely that these Christians introduced and popularized "Yalda" in Iran. Gradually "Shab e Yalda" and "Shab e Cheleh" became synonymous and the two are used interchangeably. With the conquest of Islam the religious significance of the ancient Persian festivals was lost. Today "Shab e Cheleh" is merely a social occasion, when family and friends get together for fun and merriment. Different kinds of dried fruits, nuts, seeds and fresh winter fruits are consumed. The presence of dried and fresh fruits is reminiscence of the ancient feasts to celebrate and pray to the deities to ensure the protection of the winter crops. Iranian Jews, who are amongst the oldest inhabitants of the country, in addition to "Shab e Cheleh", also celebrate the festival of "Illanout" (tree festival) at around the same time. Illanout is very similar to the Shab e Cheleh celebration. Candles are lit and all varieties of dried and fresh winter fruits are served. Special meals are prepared and prayers are performed. There are also very similar festivals in many parts of Southern Russia that are identical to "Shab e Cheleh" with local variations. Sweet breads are baked in the shape of humans and animals. Bon fires are made and dances resemble crop harvesting. Comparison and detailed studies of all these celebrations no doubt will shed more light on the forgotten aspects of this wonderful and ancient festival, where merriment was the main theme of the festival. Happy Shab e Cheleh. Merry Christmas, happy Hanukkah or happy Kwanzaa? That always seems to be the question this time of year. But this year, let us celebrate it for what it really is. 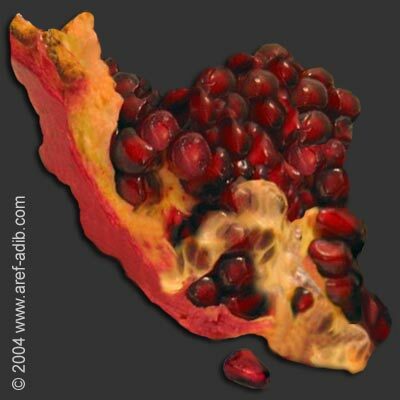 It was originally the Yule or Yalda festival meant to commemorate the birth of the Sun God Mithra. Perhaps it had something to do with the Ice Age, which bedeviled ancient Nature Worshippers for so long that the day following the Winter Solstice, when days start getting longer, the day when light is born again, that day was the happiest day of the year for our freezing pagan ancestors and celebrated accordingly. The Yalda festival was a Mithraic celebration, which finds its origins among the earliest Iranians. But in 53 BCE, when Roman legions, unable to conquer Parthian Mithraists, adopted Mithra the "Unconquered Sun" as their own military deity, Yalda or "Yule" became an official celebration of the Roman Empire. Many of the original pagan symbols survive in what has come to be known as Christmas such as: holly, ivy, the color red, the mistletoe, Yule logs, the giving of gifts, decorated evergreen trees, Santa Claus, etc.. Most Christians know that December 25th is not the actual date of Jesus' birth. But to call it "Christmas" stretches the limits of irony as early Christians, even some today, did their best to abolish it. Polydor Virgil, an early British Christian, said "Dancing, masques, mummeries, stageplays, and other such Christmas disorders now in use with Christians, were derived from these Roman Saturnalian and Bacchanalian festivals; which should cause all pious Christians eternally to abominate them." In Massachusetts, Puritans unsuccessfully tried to ban Christmas entirely during the 17th century, because of its heathenism. The English Parliament abolished Christmas in 1647. Some contemporary Christian faith groups do not celebrate Christmas to this day including the Worldwide Church of God (before its recent conversion to Evangelical Christianity) and the Jehovah's Witnesses. In fact, I suspect that the last pagan holdouts supported the switch to "Christmas" in an effort to save their celebration from being eradicated entirely by the Holy Roman Empire. In a compromise, the Catholic Church, in the beginning of the 4th century CE, agreed to celebrate the birthday of Yeshua of Nazareth (later known as Jesus Christ) on December 25th, four days removed from its original Yule date. Eastern churches followed suit and began to celebrate Christmas after 375 CE. Ireland started in the 5th century. The church in Jerusalem started in the 7th century. Austria, England and Switzerland in the 8th. Slavic lands in the 9th and 10th centuries. Regardless of its origins, it's a great time to wish friends and family joy, prosperity and good health for the coming year.